When designing a kitchen, there are many decisions to be made. 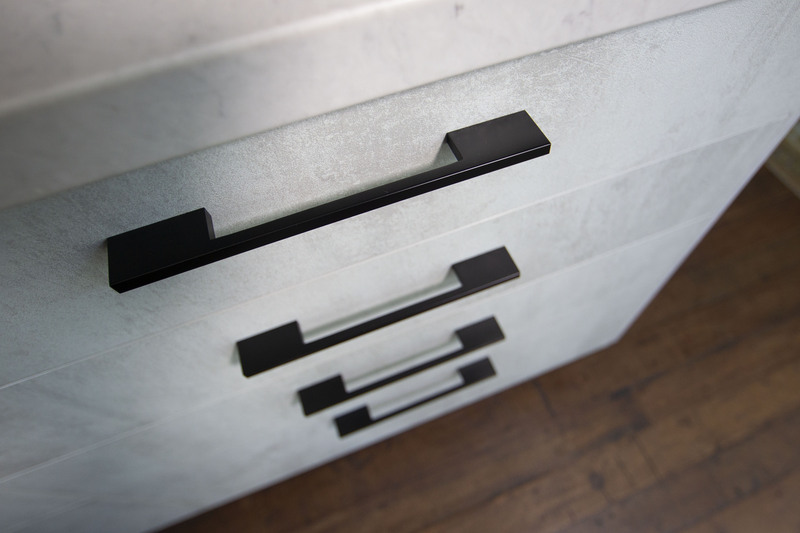 This includes a myriad of combinations for your cabinetry, choosing between different door profiles, colours, surfaces and textures. 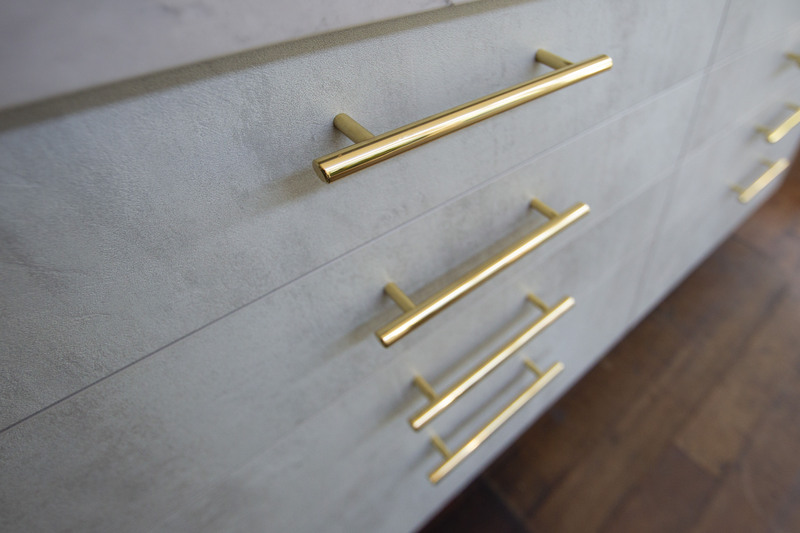 Another seemingly smaller element – which can actually make a big difference to the look of your cabinetry – is the cabinet handles. The type of handle you choose should match the style of your kitchen and the interior decoration of your home overall, as well as being a functional choice. At times the right choice may be no handles at all, in favour of a touch-catch mechanism. This is often a popular choice for overhead cabinets, to create a streamlined effect (and it also means you won’t have to reach up as high). Sometimes more than one look can suit, which means you may find it harder to settle on a handle. 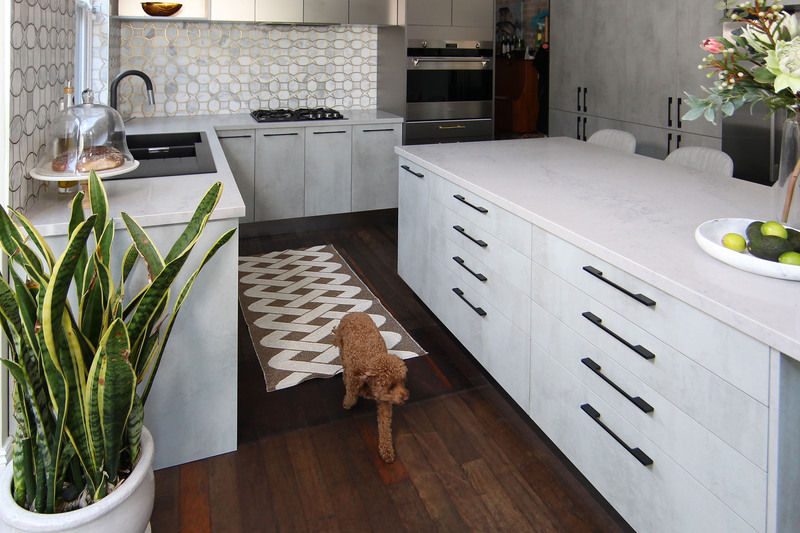 To demonstrate two looks on one kitchen, we’ve taken a customer’s kitchen which features our Freedom Kitchens Designer range Metallic cabinets in Champagner as well as Beton textured concrete, and tried two different handles to show how it can change the look and feel. 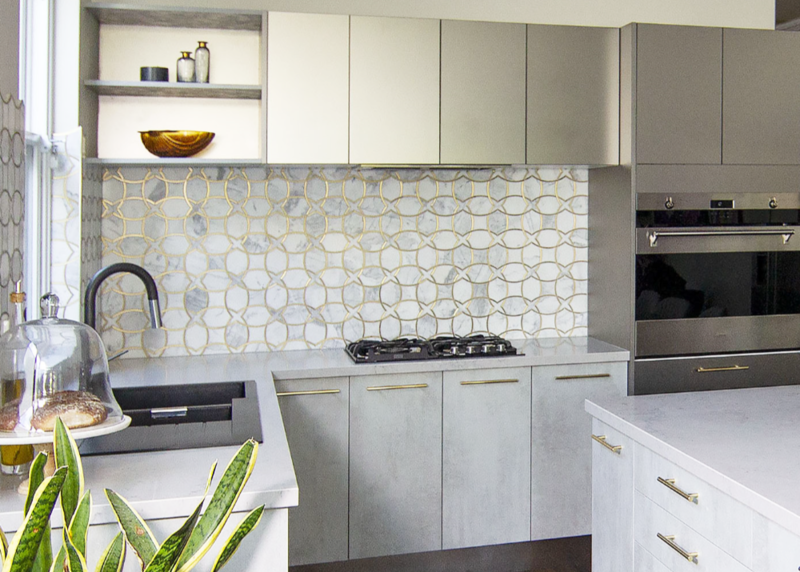 First, our Cornet Polished Brass Handles were installed to match the overhead metallic cabinets, as well as reflecting the gold in the patterned splashback. In theory, using gold handles seems like an obvious style choice given metallics already feature elsewhere in the kitchen. Many people will love how this looks, tying together all the gold tones for a glam result. On the other hand, others may feel the use of so much metallic is too much… like when you’ve over-accessorized your outfit, and need to follow Coco Chanel’s rule to ‘take one thing off’ before you leave the house! For an alternative look, we swapped the classic glam gold handles for a more modern choice – our Black Anodized Bar Handle, which matches the matt black sink and gooseneck tap. 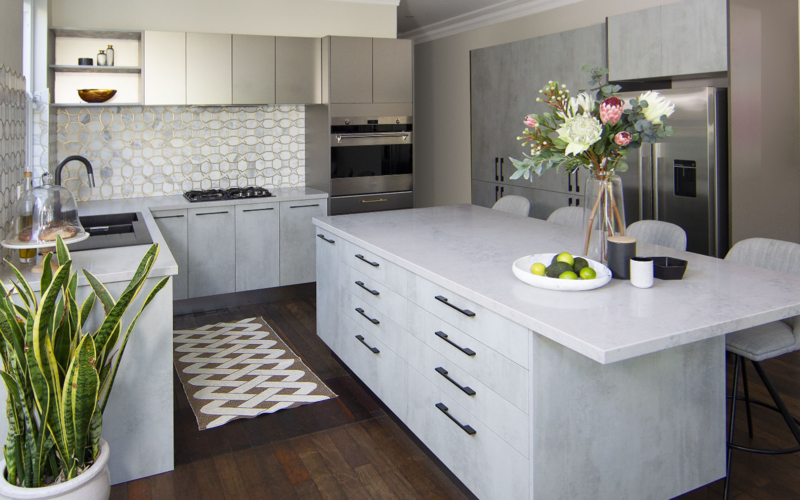 It’s a subtle change, but it results in a more contemporary look for this kitchen. Both looks can work if the surrounding styling suits, and so really it all comes down to personal preference. What do you think – which would you prefer for your own home? 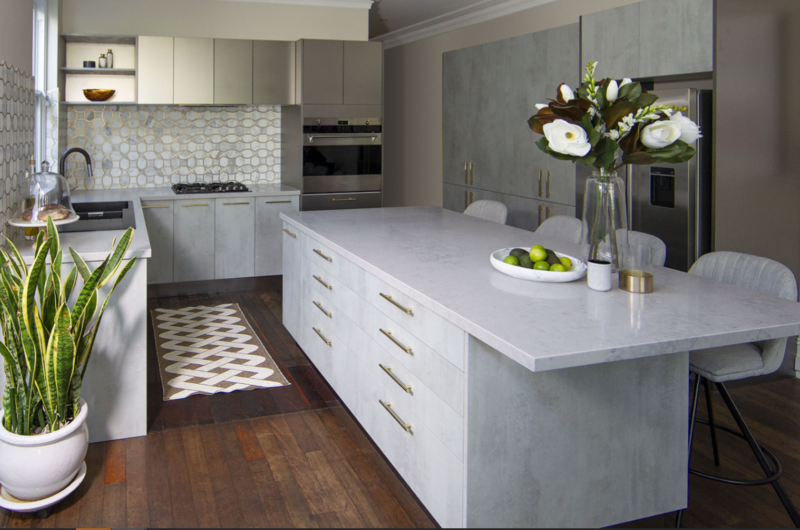 To see all the design possibilities you could apply to your own new kitchen, talk to one of our experts. 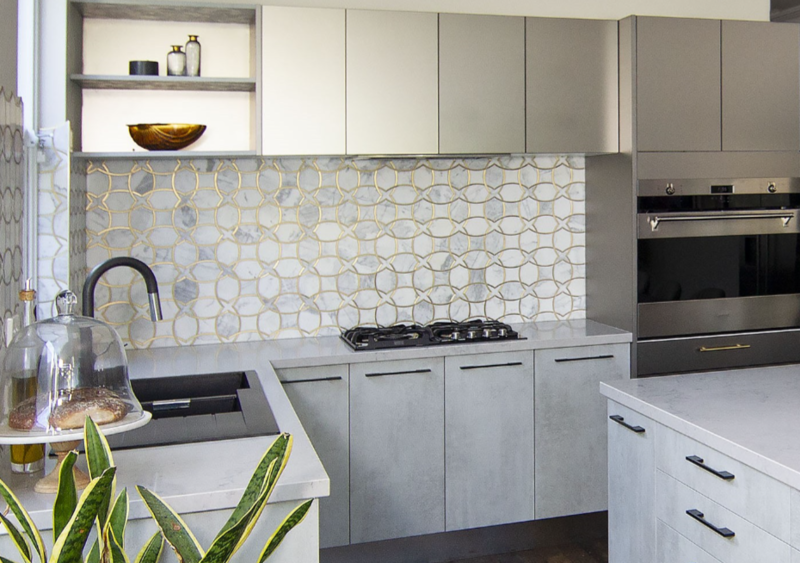 Simply book a free design appointment and one of our designers can visit you at your home, to start designing the perfect kitchen for you and your lifestyle.